My mailbox has just been filled with all these delightful mail packages lately. Here's a wonderful tea package I received from Andy in Mexico. 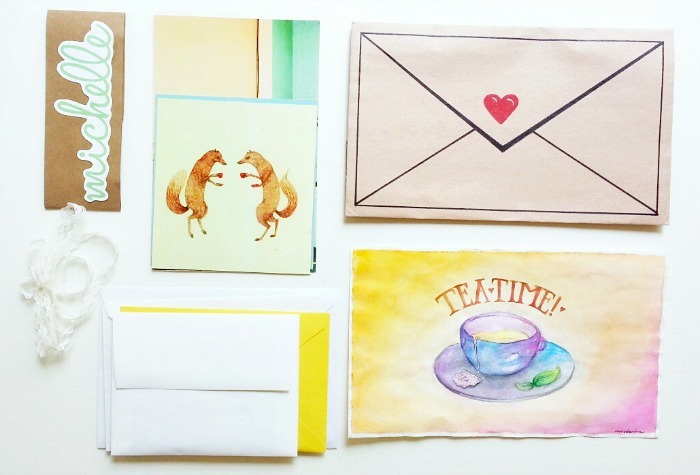 We exchanged emails and decided to do a tea themed swap, and she went so above and beyond. She sent me some beautiful tea stickers, pictures, ephemera and even painted this beautiful watercolor for me. Aahh, love it so much! I'm currently looking for a frame for this to hang up in my room. Andy is such a talented artist, in which her exotic taste always has me admiring her work more and more. I received a package from Gladys as well. 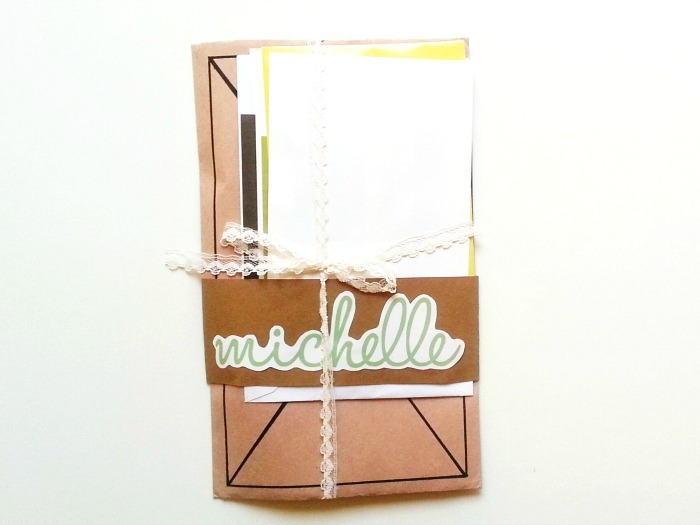 Remember that mini booklet she made? She was so sweet and made me a mini passport this time enclosing little facts about her country. 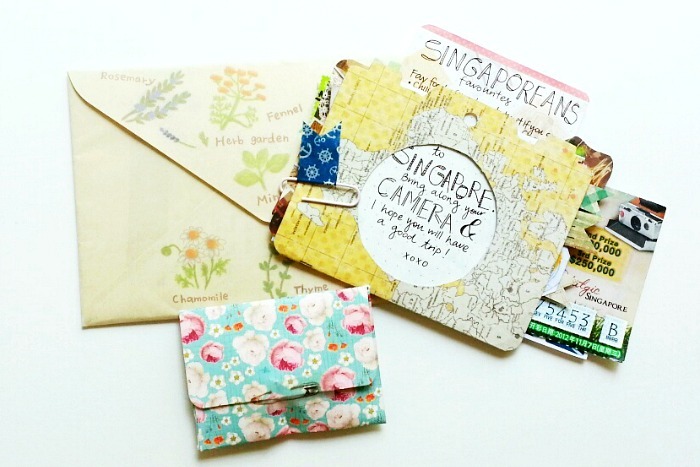 Don't you just love the herb and floral design on the stationery, too? And I love this little pin she sent me. 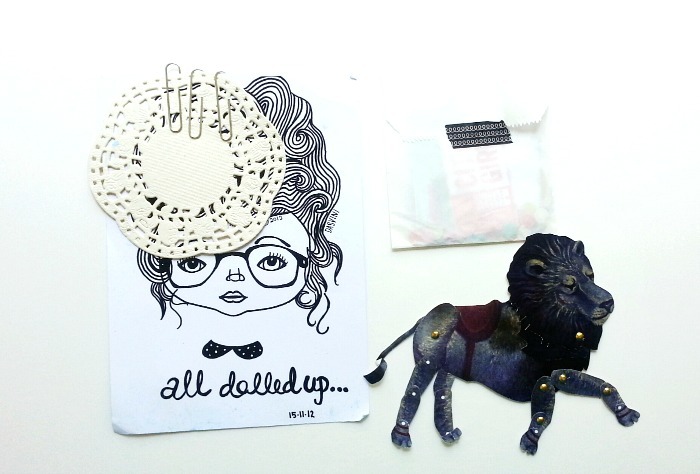 I always enjoy collecting little trinkets and treasures from other countries. The package Dasvani sent me was filled with just sooo many goodies, I was overwhelmed with joy. Although they're not all pictured, I can gladly say that it totally made my day. 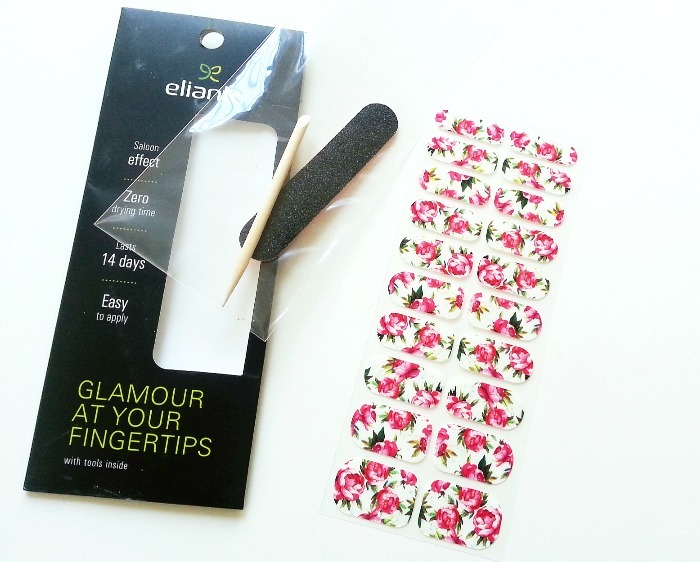 She packed stickers, pretty papers, a chalk board tag, stamps, confetti, and even this pretty nail sticker set. She even drew this cute little illustration above. Pretty neat, huh? This is getting framed, too. I'm just a sucker for handmade art. One day I'll do a post on my "inspiration" wall/board. It's slowly coming together and getting filled with everyone's mail good and postcards. 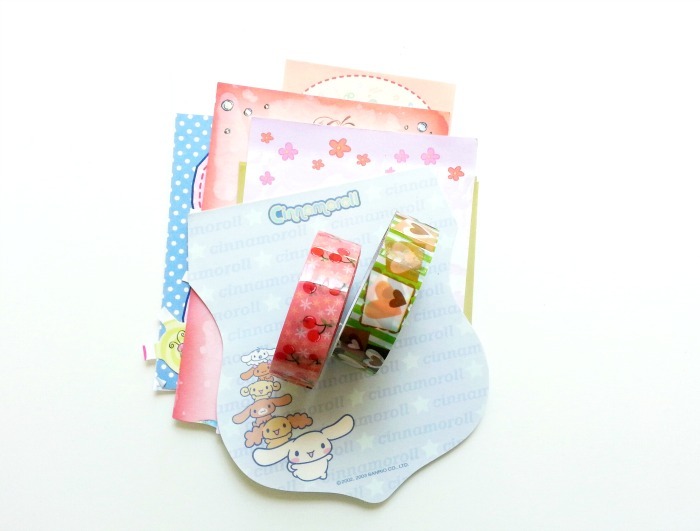 And last but not least, some kawaii goods and stationery from Laila in Denmark. 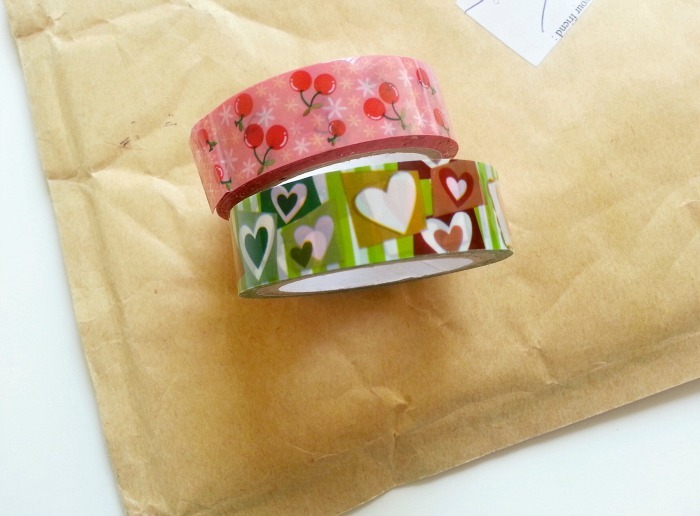 She was so kind to send me some of her washi tapes. Like myself, she has quite a collection and offered to send me some. Thank you, girls, for all your creativity and thoughtfulness. It is so very much appreciated! Wow you got so many wonderful things!! Everything is so beautifully made and packaged. I would be happy too if I saw all these goodies in my mailbox! 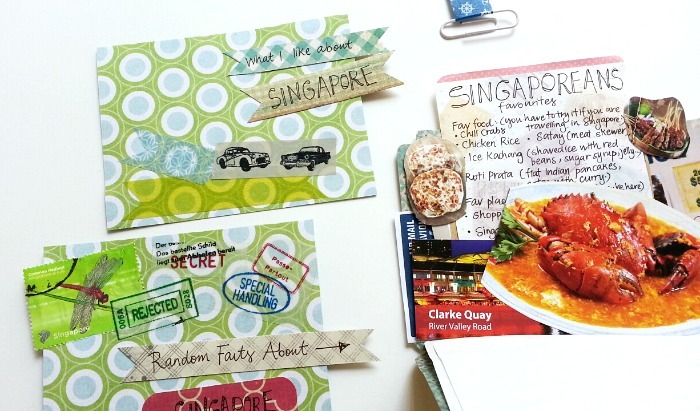 The Singapore one is SO cute! The nail stickers are absolutely adorable!! Ahhhwww. these are just sooo cute! I really admire people who can make these designs, I feel like they're so intricate and it takes a lot of effort. Wonderful packages! They must have been such fun to open up. 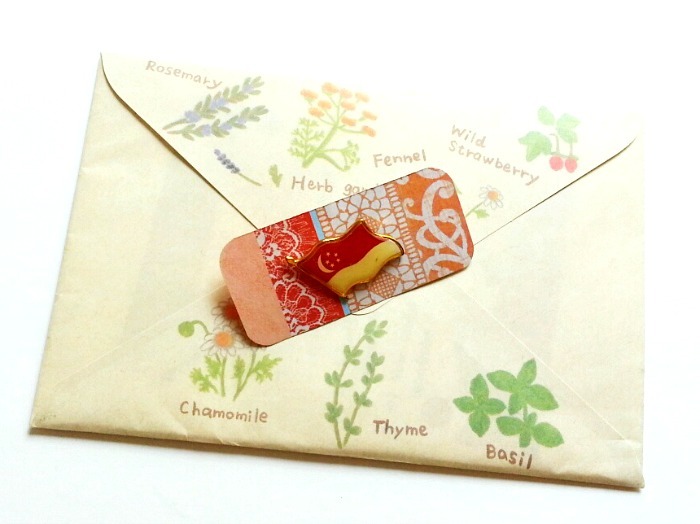 I love the herbs on the envelope from Gladys! Wow you are so lucky to receive such nice packages and have such multicultural friends! These are super cute! these are just amazing. i enjoy reading your posts on receiving mail from all over the world! I would pass out from excitement if I received all of that!! What a great collection and wonderful cosmopolitan pieces of art!